Going forward, Apple will be increasingly reliant on a combination of driving up average selling prices for iPhones and fostering services revenue, several analysts contended in the wake of the company's Q4 results. Apple is seeing "continued success" in steering people towards its most expensive iPhone models, this year namely the iPhone XS and XS Max, J.P. Morgan's Samik Chatterjee said in an investor memo obtained by AppleInsider. Meanwhile, Apple saw its services revenue — representing things like the App Store, Apple Music, and iCloud — grow to nearly $10 billion. "iPhone unit volumes have largely plateaued since FY15 and it is well understood by investors that Apple's strategy with the iPhone revolves around driving revenue growth through ASP increases and maximizing revenue opportunities over the lifetime of a device with a customer through service offerings, relative to trying to drive unit sales/ market share," wrote Chatterjee. That sentiment was echoed by Guggenheim's Robert Cirha, who suggested that Apple's decision to stop reporting iPhone, Mac, and iPad unit sales is not only indicative of this strategy but may be to make it less obvious to customers that it wants to charge them more. 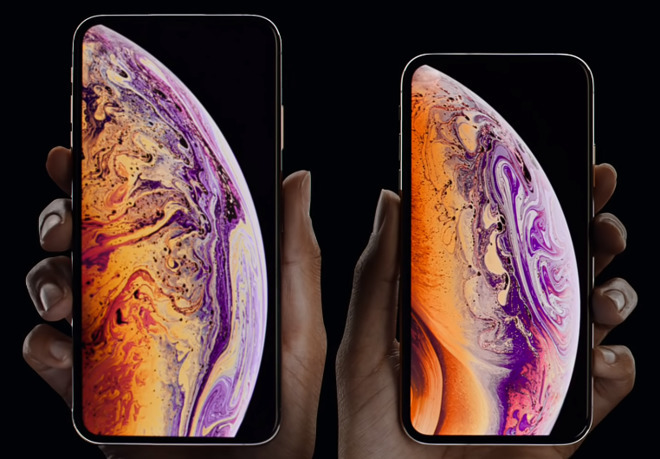 The company has often come under fire for high prices, and that criticism has intensified this fall, since the cheapest new iPhone is now the $749 iPhone XR, and price hikes have also hit products like the iPad Pro and the MacBook Air. Loup Ventures' Gene Munster argued that Apple wants investors to think of its whole business as a service, rather than paying attention to quarterly fluctuations. "The new reporting method will force the Street to think about Apple's business as a stable and growing service, which should yield a higher earnings multiple in the long run," he said, pointing out that in the last eight quarters, the average unit growth of the iPhone has been just 1 percent. "This 1 percent average unit growth rate is, by definition, stability," the analyst elaborated. "Conversely, if iPhone units were less predictable, investors should demand the company continues to report units." J.P. Morgan is maintaining an "overweight" rating for Apple stock, but lowering its December 2019 price target $2 to $270 on the basis of foreign exchange "headwind." On Thursday Apple CEO Tim Cook said the company's Q1 forecast is taking a $2 billion hit on that issue alone. Guggenheim is holding onto both its "buy" rating and a $245 price target, but scaling back its Q1 estimates, namely predicting 77 million iPhone shipments in Q1 rather than 80 million, and calling for a 1 percent ASP increase year-over-year instead of 6. Apple itself is forecasting revenue between $89 billion and $93 billion for the first fiscal quarter of 2019, with gross margin pegged between 38 percent and 38.5 percent. Operating expenses are expected to lie between $8.7 billion and $8.8 billion, while a tax rate of approximately 16.5 percent is anticipated.